A pair of new DLC packs are on the way for Mario Kart 8. 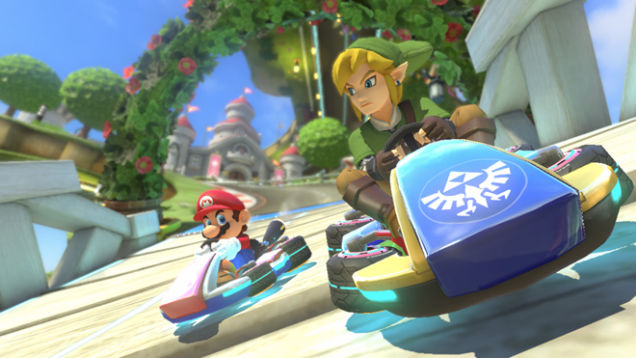 The pair of DLC’s will give you two new Cups with four new courses apiece including the classic course “Wario’s Gold Mine” from Mario Kart Wii and courses from “The Legend of Zelda” and “Animal Crossing”. 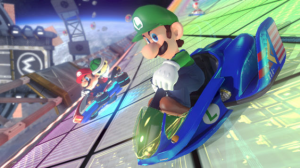 Additionally, new vehicles will include a Blue Falcon and new characters Tanooki Mario, Cat Peach, Link, Villager, Isabelle and Dry Bowser will be introduced. The two new DLC packs will be available in November 2014 and May 2015, respectively.